More than anything else we want to see a generation of kids who love the Lord. This doesn't happen by simply bringing kids to church. Kids need to be part of families who are not only involved, but are the primary force in their child's spiritual formation. Our role as the church is to come alongside to equip,support and inspire families to fulfill their God-given role. Together we seek out direction from the Spirit of God as we pour ourselves into the next generation. 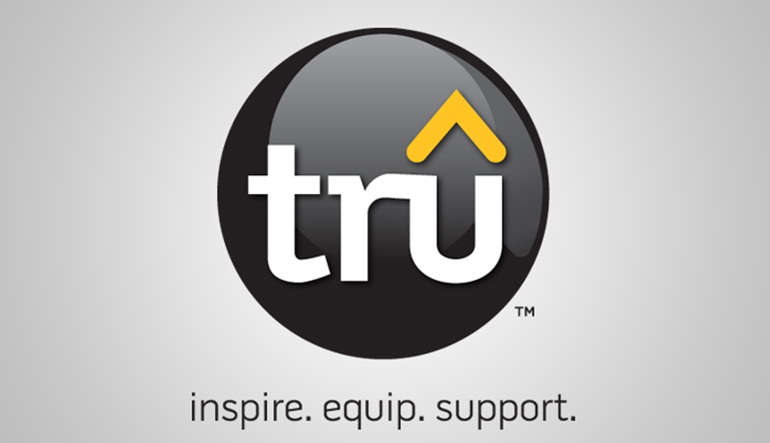 We have attached ourselves to a curriculum called TRU that helps us to flesh out this vision and below are some tools that we hope will help you as families as you invest yourselves with your kids. With TRU curriculum at Calvary Church, your children learn “The Big God Story” as God’s entire story, going through the Bible chronologically from Creation through Revelation in age-appropriate ways. Every Sunday’s Bible story is presented within the context of God’s bigger story of redemption for the world. Kids won’t be confused by learning about Jonah one week and Jesus the next. Instead, they learn how the Bible characters fit into a Bible time-line that clearly shows where in time Jesus’s birth, life, and death stand in relation to what they are learning that day. They also learn that each of us becomes part of the Big God Story when we place our faith in Jesus as our Savior. For more information about the particular part of the Big God Story your child will learn on Sunday, contact us for a copy of the Scope and Sequence. Home|Front Magazine is a monthly magazine that gives parents hands-on resources in order to create fun, spiritually forming times in their home-even in the midst of busy lives. This digital magazine can be sent directly to your inbox each month, making it easy for parents and grandparents to shape vibrant faith in the lives of their children. Visit homefrontmag.com for more information about how you can receive HomeFront by e-mail. Limited hard-copies available on Sundays in your child's classes. Throughout the year we provide a couple of opportunities to intentionally think through how we parent our kids. It’s hard enough to train kids to behave, but good behavior isn’t what Jesus calls for in the Bible. He wants hearts and souls that are shaped in vibrant faith and love toward God and others. How can parents cultivate this in their children? We go through a 6-week class looking at practical examples and biblical insight on the spiritual role of parenting. Spiritual Parenting introduces the simple, but revolutionary concept that parents are, by the power of God’s Spirit, to obey and depend on God in order to create an environment God can use to beckon their children to Him. Stay tuned here for the next Spiritual Parenting Class Schedule.